Groveland rests about a hour outside of Yosemite National Park. 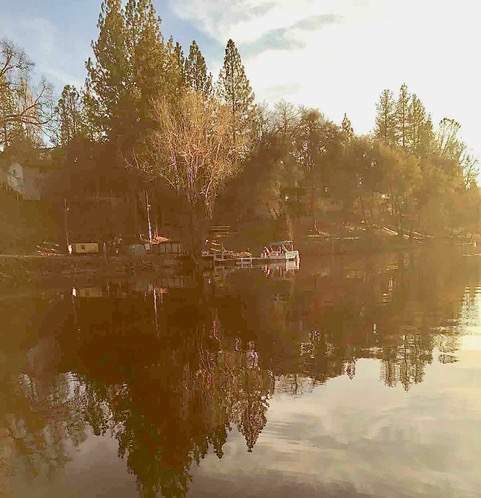 Nestled in the Stanislaus National Forest at about 3,100 feet, Groveland has both tall trees of the forest and the ambiance of a former Gold Rush town. Groveland’s year-round population is small, just over 600, allowing plenty of space between neighbors. With the completion of Pine Mountain Lake Resort in the 1960’s, the area boasts a home-away-from-home to many in the SF Bay area. Pine Mountain Lake is a Homeowners association built around the lake created by the Hetch-Hetchy dam. Golfing, horseback riding, boating, fishing, swimming and (of course) lounging on the beach or the porch of your own home are just a few of the many enjoyments of the area.